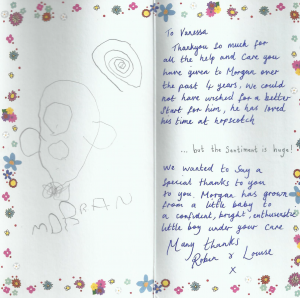 ” Dear Claudia and all staff in Blues, Thank you so much for being such fantastic members of staff and always looking after Emily (and Matthew) so well. It has always been such a relief to know how safe and secure my ‘babies’ are when they are with you. Thank you for always treating them like you would your own. It will not be forgotten. 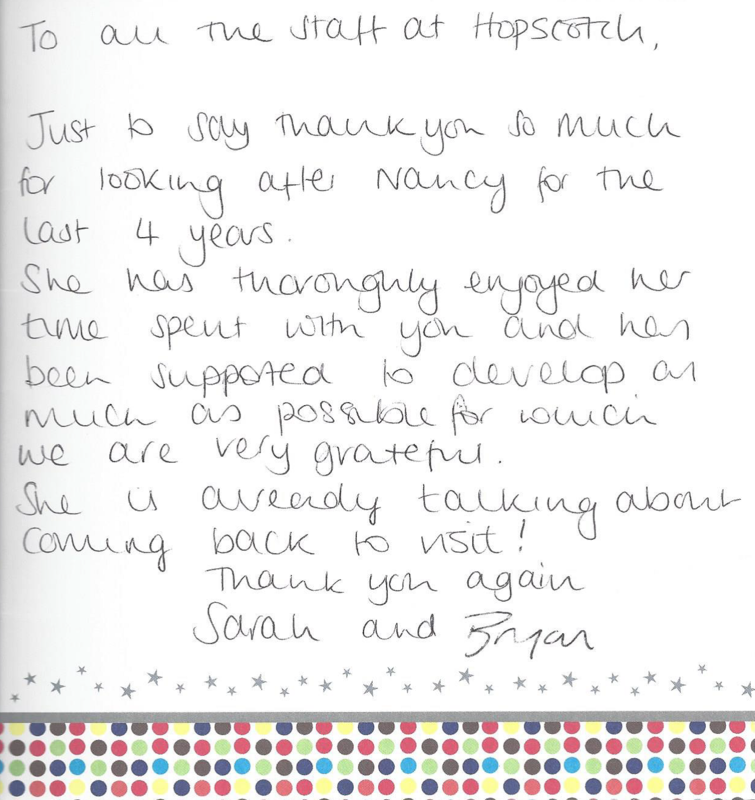 “ Dear Hopscotch Staff Team, Kara would like to say that she loves you all. 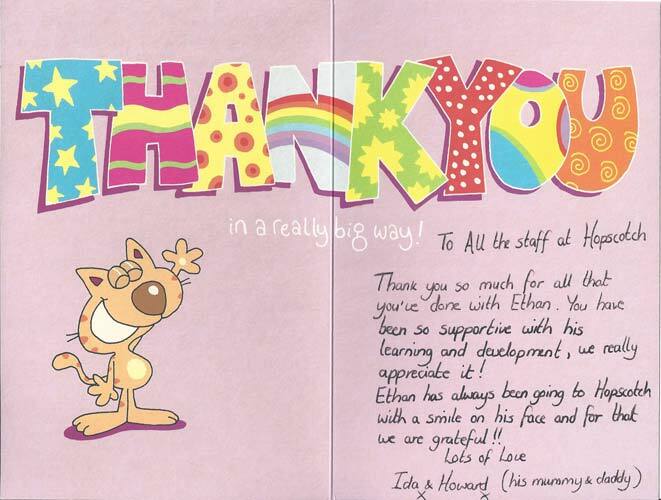 We would like to say thank you from the bottom of our hearts for all your hard work, imagination and effort in looking after & educating our daughter. 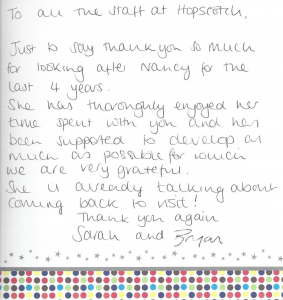 “Dear Hopscotch, Thank you very much for looking after me for 9 months! 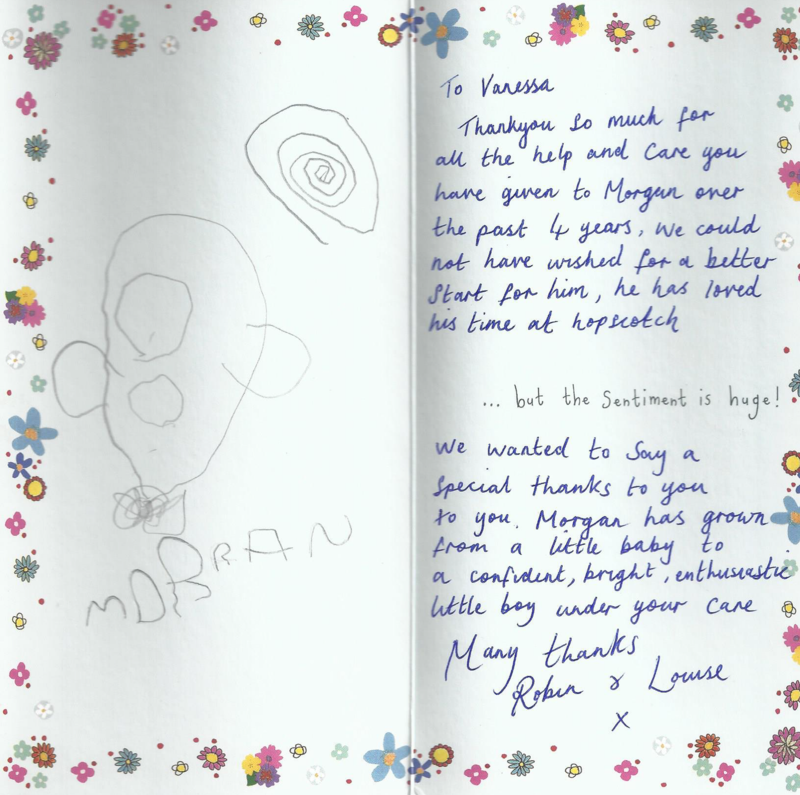 I had a wonderful time and you have been fantastic! I will miss you sooooo much!